Just received the promised material from Paul and Jim about their relatives. 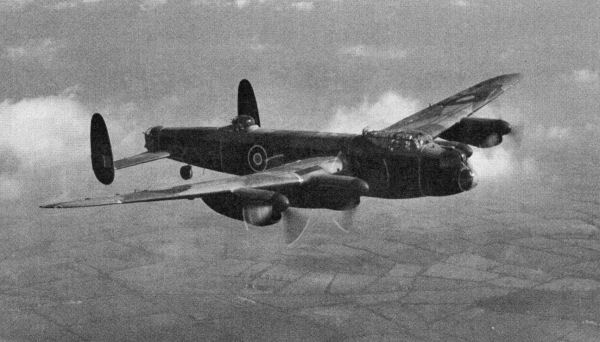 Leo and Phil were Pilot and Wireless Operator respectively on Lancaster ND911 when the aircraft and all but one of its crew were lost on a raid to the infamous target of Homberg on the night of the 20th November 1944. 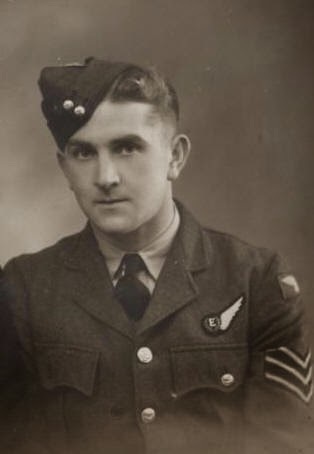 The plane exploded in mid-air, killing all the crew probably instantaneously, apart from the rear gunner, John Gray, who came round from momentary unconsciousness, still in the tail of the aircraft. He baled out and survived, to spend the rest of the war as a PoW. This is the first time I have actually dealt with information relating to a loss – I think I find the experience all the more profound because of the incredible and heart wrenching set of letters Paul has passed to me relating to the official notification of Leo’s initial status of ‘missing’ from the Australian Air Force and the handwritten correspondence from Leo’s father trying to find out his sons fate and ultimately his final resting place – I don’t feel embarrassed to say I had tears in my eyes as I read them…. This entry was posted in general and tagged 75(NZ) Squadron RAF, Dennis Bryer, Homberg, JN-V, John Gray, John Miles, John Warlow, Leonard Martin, Mepal, ND911, Patrick Leo McCartin, Phillip Smith on February 25, 2012 by 75nzsquadron. Serendipity – Bob and the boys appear again…….. I tend to work from home on a Monday – a relatively long drive at each end of the day, coupled with the astonishing amount of admin and marking etc means I can get far more done on my clear day when I am not teaching. Perhaps unsurprisingly, there are ‘troughs’ within a day and sat at the bottom of one I make a cup of tea and idly click through the images I have so far collected. I alight on the big squadron photo I found near the beginning of my search – with nothing better to do I open it in Photoshop and try a bit of up scaling of its size and resolution. This is a notoriously dubious way of enlarging a digital image, but I figure it might help. I am pleasantly surprised (relatively) with the results and sit enjoying the ‘bigger view’. I know I should no longer be surprised by these moments I seem to have regarding my search for Bob, but it happens again……. As with the smaller ‘B’ flight image, Vernon is the first to appear, stood right on the far right hand side of the photograph. I start slowly scanning across the rows in front of the Lancaster, but nothing. 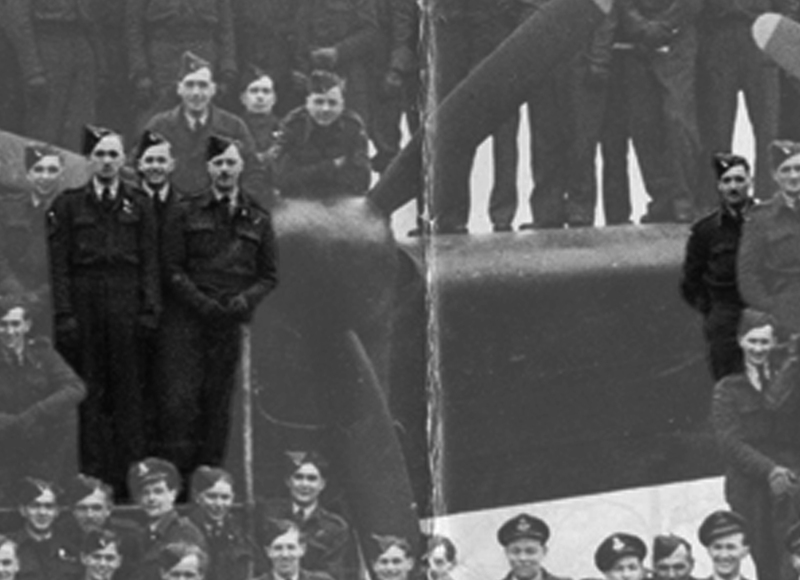 My eye is drawn to the port inner propeller and bugger me, James Coote is stood next to it – to his right is Sgt. Parr….and it suddenly dawns on me that the chap stood behind them, beaming over their shoulders is in fact Bob….. 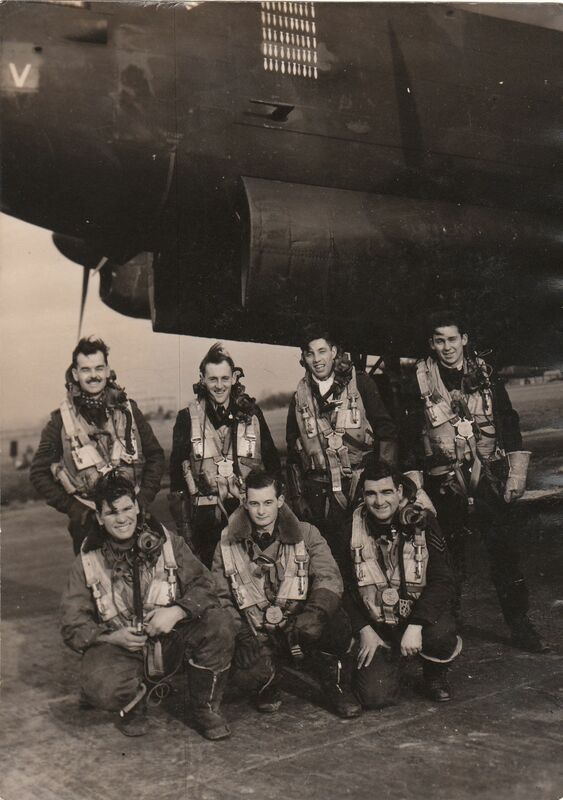 This entry was posted in general and tagged 1945, 75(NZ) Squadron RAF, James Coote, Mepal, Robert Douglas 'Jock' Sommerville, Sgt. A. Ackroyd, Sgt. H. Hutchinson, Sgt. 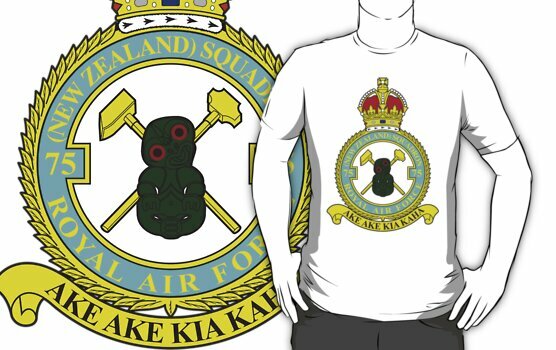 M. Parr, Squadron Photograph on February 6, 2012 by 75nzsquadron.